The Chargers will begin what could be their final preseason as San Diego’s NFL team Thursday night when they play host to the Dallas Cowboys at Qualcomm Stadium amid changes at the concession stands and on the field. — Veggie Nacho – roasted corn, peppers, pico de gallo, cotija cheese. On the field, the extra point attempt will be snapped from the 15-yard line, while two-point conversions will remain at the two-yard line. The defense will be able to return a blocked kick, interception or fumble for two points. 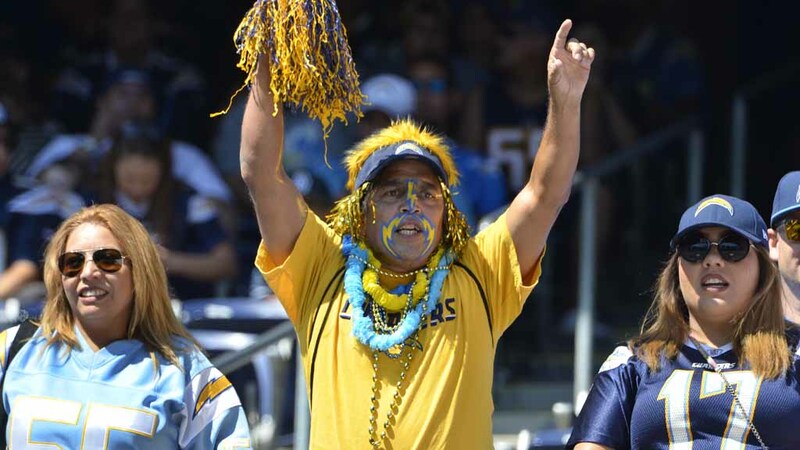 Fans are encouraged to carpool or public transportation to get to Qualcomm Stadium for the 7 p.m. game. The parking lot will open at 3 p.m. and is expected to fill early. Fans planning on riding the Trolley should plan to take early trains as cars could fill up in both directions to the stadium as early as 5:30 p.m. The Chargers have been asking for a new stadium for nearly 15 years and have acquired land in Carson, in Los Angeles County, on which they could build a facility — perhaps in concert with the Oakland Raiders. Former San Francisco 49ers executive Carmen Policy, who is working on the Carson project on behalf of the two franchises, said on Tuesday the teams are committed to the Los Angeles area. He said the proposed stadium could be shovel- ready when league owners give them permission, and it would be ready in time for the 2019 season. At a news conference hours after Policy’s remarks, NFL Commissioner Roger Goodell said the league has not given up on the home markets of the Chargers, Raiders or Rams — another team eyeing the lucrative Los Angeles market. League Executive Vice President Eric Grubman said representatives of San Diego showed signs of “significant progress” in a presentation to a group of owners Monday. That same day, the city released a 6,000-page environmental impact report for a proposed stadium in Mission Valley, a financing proposal and renderings of a design concept. The plan is to get the document approved by the City Council in October so the public can vote on a stadium measure in January. Mark Fabiani, the Chargers’ spokesman on stadium issues, objected to the faster timeline of the environmental report, which he says won’t be legally defensible.